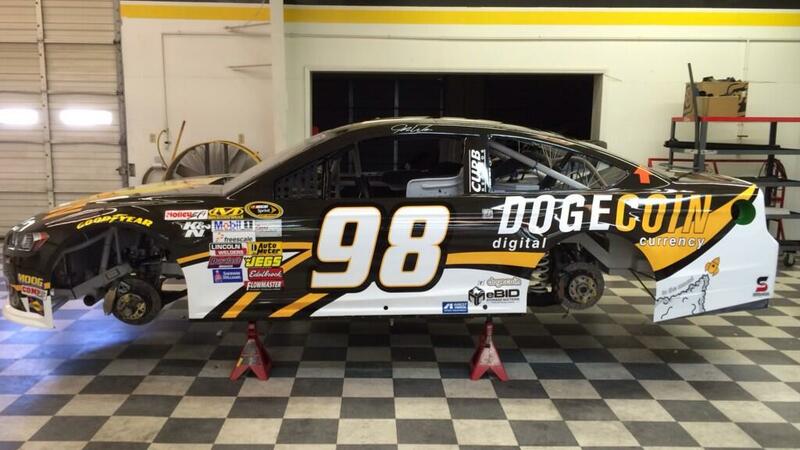 Dogecar No. 98 “Moonrocket,” being piloted by Josh Wise in next week’s NASCAR Sprint Cup race at Talladega. There are those who look with Dogecoin with a degree of skepticism. Bitcoin is the way forward! Some will say. 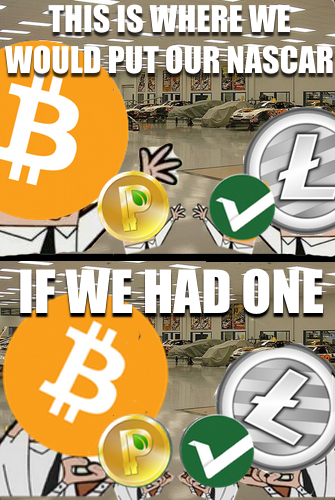 Sidechains will wipe altcoins out! They will also say. Nah. Sour grapes, I say.